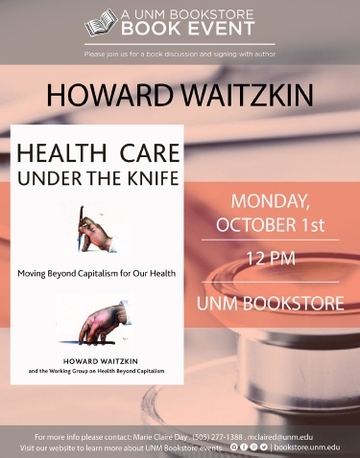 Dr. Howard Waitzkin will be at the UNM Bookstore on Monday, Oct. 1 at 12 p.m. to discuss and sign copies of Health Care Under the Knife: Moving Beyond Capitalism for Our Health (Monthly Review Press, 2018). This event is open to the public. Health Care Under the Knife is comprised of individual essays addressing the "medical industrial complex," the impact of privatization and cutbacks under neoliberalism, the nature of health-care work, and the intersections between health care and imperialism, both historically and at present. 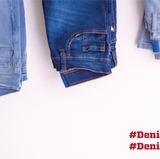 We see how the health of our bodies in "developed" countries is tied to the health of the bodies of the labor force in the Global South, and how the World Bank and the International Monetary Fund are linked strangely, inextricably, to our physical well-being. But this analysis would not be complete without the book's final section, which delivers invaluable guidance for how to change this system. Recounting case studies and successful efforts for creating a more humane community, this book ultimately gives us hope that our health-care system can be rescued and made an integral part of a new and radically different society. Dr. Howard Waitzkin is Distinguished Professor Emeritus in the Department of Sociology, former Professor in the School of Medicine and 2010-2012 Presidential Teaching Fellow at The University of New Mexico. He has practiced as a primary care physician in internal medicine and has taught social medicine at a variety of clinics and universities throughout his career. He has authored six books, including Medicine and Public Health at the End of an Empire (Paradigm, 2011). The UNM Bookstore is located at 2301 Central Ave. NE at the intersection of Cornell and Central. 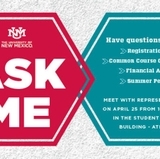 Contact Marie Claire Day at (505) 277-1388 or mclaired@unm.edu for more information.